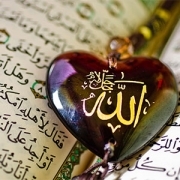 The primary and most essential message of the Quran asserted some 1,400 years ago is the reality that the One referenced as Allah is the Absolute Oneness other than which nothing exists. This is so by way of his qualities al-Wahid, al-Ahad and as-Samad. In the last 35 years or so science has also been affirming the endless, limitless Oneness of existence. Thus, the awaited ‘Golden Age’ is now! What makes it ‘golden’ is the emanation of the knowledge of Oneness through people. What is considered a scientific reality today was miraculously disclosed by the Quran over 1,400 years ago. Just like smoking has lost its throne in the USA and European countries after its harms have been exposed, but desperately tries to continue its sovereignty in countries that are behind in scientific discoveries, ‘materialism’ is also completely impoverished in the world of science and serves only as a topic where ‘matter’ based religious or philosophical debates are concerned in underdeveloped circles. After discovering ‘matter’ to be only a perceptional illusion, physics and medicine have now turned their focus on the brain – as I emphasized in 1985. For the unexposed mysteries are not in the seemingly external world, but within the dimensional depths of the brain that perceives the world. The extent to which the brain, the compositional structure comprising the qualities of the Names of Allah, is explored and its depths are discovered is the nearness to which man may reach his essential reality (Rabb). 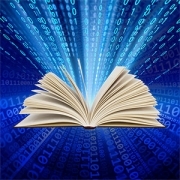 Contemporary physics has now entered the theoretical-physics phase and has come face to face with the reality that man, the brain and existence as a whole are formed from a universal energy – that it is waves of data. In other words, we have come to the realization that we live in a holographic universe. Atheism, sourced from the dualistic materialistic notion of a god separate from the individual,has now become scientifically impossible! It has lost its foundations. After the realization that existence is ONE, it is evident that this dualistic outlook is rendered completely obsolete. The final chapter of the Quran, al-Ikhlas, explains this very reality, for those who contemplate! As the notion of ‘matter’ is invalidated; the ‘matter-spirit’ duality is depleted. There is no longer a god to be denied. The only observable reality is a singular existence. Scientific discoveries have ended the dualistic understanding of, “There is me, and there is also a God far and beyond me”! Atheism essentially spawned from scientists who were indoctrinated with the religious teaching of ‘the fatherly god in the heavens and the son’. Realizing – in the face of the billions of galaxies constituting space – the absurdity and thus the impossibility of a localized physical god who sent his son to earth, these minds have denied the concept of godhood altogether and chosen atheism in opposition to the church. And the church has outcast and cursed them! While these scientists have recognized the reality that there is no god, “La ilaha”, they have failed to reach the knowledge contained in the Quran disclosed by Muhammad (saw) and thus the knowledge of “Allah”. But what if one who is aware of the Oneness of existence fails to accept the teachings of Muhammad (saw) and the Quran? What will they lose? We must delve further into this matter for many people are misled here, thinking the knowledge of Oneness is sufficient. In the guise of an offering, the Quran is actually a confirmation. Understanding Oneness is a tool for man, not the final objective! The person realizes there is no god above or beyond and he is in servitude to the One alone. He recognizes the absolute system and order (Islam) of this Oneness (Allah), and understands that, whatever becomes manifest from him in a previous state, defines what will manifest from him in a later state. Thus, he tries his best to do whatever he can to use the qualities of the Names of Allah in his essence and form his world accordingly. If, through the realization of Oneness, one is not able to view the ‘many from the One,’ then Oneness has not yet been fully grasped and experienced, it is only an intellectual understanding, not one that is felt and lived. To view the ‘One from the many’ will never allow all the answers to be perceived. The Sufi masters, from Rumi, to Naqshibandi, al-Ghazali, Jilani, Yunus and Bektashi, never contented themselves with the recognition of Oneness, but rather lived every moment of their lives by this reality. Thus, they were free from the things that caused them suffering and reached a state of eternal bliss. Data that reaches the brain as waves is processed by the brain and each individual experiences its result in his own holographic world. ‘Matter’ has only a RELATIVE existence, based on the perceiver. All perceivers are actually interacting with the data that enters their perception (depending on their capacity) from among the waves of data comprising the universe. 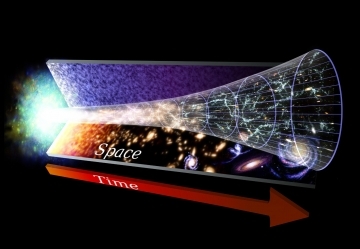 It is impossible to perceive the universe in the absolute sense. The essence of ‘matter’ has been questioned and it has been found it does not have a separate existence; the universe in its totality is a SINGLE field of energy (the manifestation of power) and an endless ocean of data waves in which everything is a hologram. Let us expand on these a little. Doubtless, everything we perceive and have an opinion on is merely an interpretation. 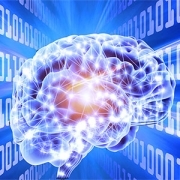 Various data waves that reach our brain via organs, which in turn are also essentially clusters of data waves, are processed and interpreted by the brain to form an ‘opinion’! 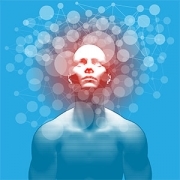 The cluster of data waves/energy, which we call the brain, forms an identity (the ego) based on the information it synthesizes and thus continues its existence in its holographic world eternally. Man (individual forms of consciousness) is the totality of all this data and continues his life with what manifests through him from his origin – the potential and knowledge of the eternal limitless One – like all other individuals. Though there is only the One, different perceptions yield the notion there are many. 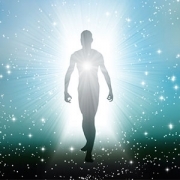 Consciousness (man) is immortal, because his origin is immortal! Man is knowledge (the composition of the Names of Allah/Spirit)! The body/animal, on the other hand, is depleted and recycled! So, consciousness in the form of ‘man’ will part from his vehicle of perception, the body, through death (the tasting of life without a body) and continue his existence in a dimension with a different perception. 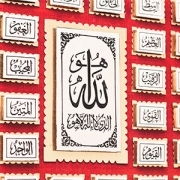 Consciousness (in the form of man) is a spirit comprised of the Spirit (the qualities of the Names) of Allah. The body, on the other hand, is its vehicle, formed according to the conditions of the worldly life or the tool/organs to perceive the dimension in which it resides. What certain less developed communities do not realize is that we live in a universe made of billions of galaxies, that is, billions that we have discovered so far! All of our knowledge constitutes only 4% of the universal energy… The remaining 96%, according to today’s science, is still ‘dark’! Furthermore, if we can realize that time and space are relative concepts based on the ‘perceiver’ and the ‘perceived’ and that, in respect of the reality of existence, they mean nothing, we will see that all of our philosophical and religious debates become invalidated and meaningless! It is evident that, in light of scientific authenticity, there is no director-god above or beyond who out of his mercy sent His son to save humanity! In a sense, the sun has risen from the west; scientific discoveries are leading humanity towards the reality of “illaAllah” (there is only Allah)! This is why I say we have entered the Golden Age in the last 34 years – since the beginning of the Hijri century. The truth asserted by the Quran, that, “There is no god or godhood, only Allah – La ilaha illaAllah” has become undeniably evident through modern science. A material world/universe has become completely obsolete and the reality that “only Allah exists” has been revealed – even though the majority of the population may not yet be aware of it, thinking they live in a material world of flesh-bone and earth. Many of the metaphors used in the Quran, or by Muhammad (saw), Moses (s) and Jesus (s), have now been decoded and the mechanisms to which they point have been deciphered. For example, the word ‘heaven’ (sama) denotes both space and the depths of one’s existence. The word ‘disclosure’ (nuzul/inzal) means a revealment or an exposal from one’s origin Self (Rububiyyah) to his field of awareness. 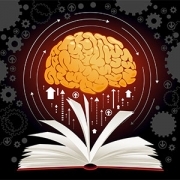 Nevertheless, our knowledge is only as much as Allah allows us to know; as much as the One discloses His knowledge through us – just like the hand can only move with the command and will of the brain. 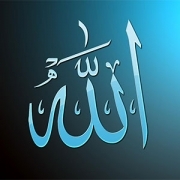 There is only the One denoted by the name Allah; nothing exists other than Him! 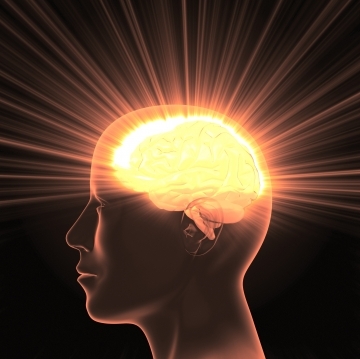 Man has been created to manifest the qualities comprising his brain (Rabb). To reiterate, one’s Rabb is the composition of the Names of Allah comprising his being, not a god up in the heavens. If your Rabb wills it, you may find and get to know Him within yourself! The universe, as we know it, is an entire field of data waves. 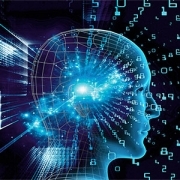 All formations in the universe and everything we perceive from our environment become manifest through the decoding of data waves by what we call the ‘brain’. No perceptual or conceptual limitation, including time and space can be applied to this infinite ONEness. The brain/individual consciousness lives in its own world formed according to the knowledge/capacity with which it has been endowed, based on how much the perception organs can perceive. Multiple universes exist only according to the perceivers. In reality there is only the ONE! The absolute reality (the absolute essence of the One referenced as Allah) can never be known! The data waves constituting the essence of the multiple universes are actually the non-dual potential designating the totality of Allah’s Names, as mentioned in the Quran. All things transpire (or have transpired) in this dimension – the knowledge of Allah. ‘Man’ is essentially a bodiless/formless consciousness composed of divine qualities to observe and/or direct the data that enters his perception according to his data make up. Once again, under the guise of ‘man’ is the composition of Allah’s Names referred to as ‘Rabb’. 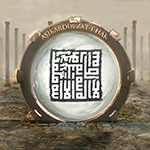 While the One referenced as ‘Allah’ in the Quran creates the multiple universes in His knowledge with His knowledge and lives (al-Hayy) this observation in a single instance (now), He is at the same time beyond everything that appears in His observation in terms of His Absolute Essence (dhat)! While He is everything – all of the divine qualities that have become manifest as the multiple universes (Zahir) – He reforms and re-manifests Himself anew at every instance. However, He is far beyond being limited by His manifestations (Batin). The extent to which ‘man’ can decode the metaphors and symbols used in the Quran is the extent to which he can recognize and acknowledge the reality and thus make use of this ‘Golden Age.’ Only then can he truly appreciate the miraculousness of the knowledge contained in the Quran. And only then can he truly understand that Islam is not about submitting to Allah, but about experiencing the bliss of knowing he is by default in a state of submission to the One whose name is Allah. There is much more to this topic, but it is not possible to address it all here. It will probably take years to comprehend the things I write; I will probably not see the results. But what matters is that, at some point, somebody will confirm what I am saying. In 1985 I wrote the inevitable end of the planet Earth was to be engulfed by the growing Sun. Today, this fact is being taught in schools in the West, yet Muslims around the world are still in denial. So, it is unrealistic for me to expect the majority to understand and accept the things I’m writing today and hence no need to go into any further detail. The only other note I can make at this stage is, just like in our current experience of life, we feel and live in what seems to be a material/tangible world – even though we know everything is energy and waves of intangible data – our experience of all other dimensions of life after this world will also be the same – at least for the great majority of us… Only the depths of the perception of those, in the words of Sufism, ‘whose veils have been lifted while living in this dimension’ will be different. And that is something none has the liberty to talk about other than the one who experiences it. Let it be known… This is the generation of the Golden Age. The information contained in the Quran is being scientifically verified and authenticated. Even if it is being done so using different words, terms and expressions! The Rasul of Allah (saw) is Truth; all his teachings are the universal reality. Everything the Quran and the Rasul of Allah (saw) says about the mechanism of giving account, which will be activated through death, the hell or heaven-like experiences in the dimension of the grave, the period at the place of gathering (mahshar) and all that is to transpire therein, and the final states of life in the dimensions referred to as either heaven or hell are all authentic Truths. I have explained the hows and whys of all of these in many of my books. Everything disclosed in the Quran is the Truth! For those who are able to READ it! Note: If this knowledge has not made you forego and sacrifice your ‘ego/identity,’ wave goodbye to another Eid void of sacrifice. If pilgrimage is made through knowledge and the One is attained intellectually, then the sacrifice of the ego, the illusory self, has not been actualized! Blessed be your Eid of Hajj, in this Hijri year of 1434. 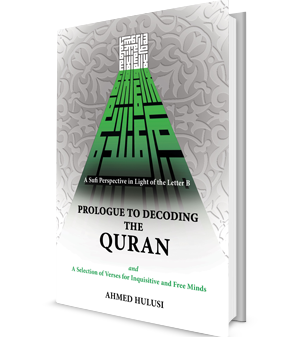 See The Observing One by Ahmed Hulusi, chapter 2, The Holographic Universe Of Your Mind for more details. 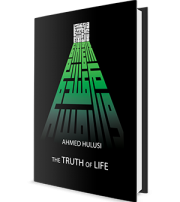 See Muhammad’s Allah by Ahmed Hulusi for more details. This article is an excerpt from The Truth of Life. Click to read it online!